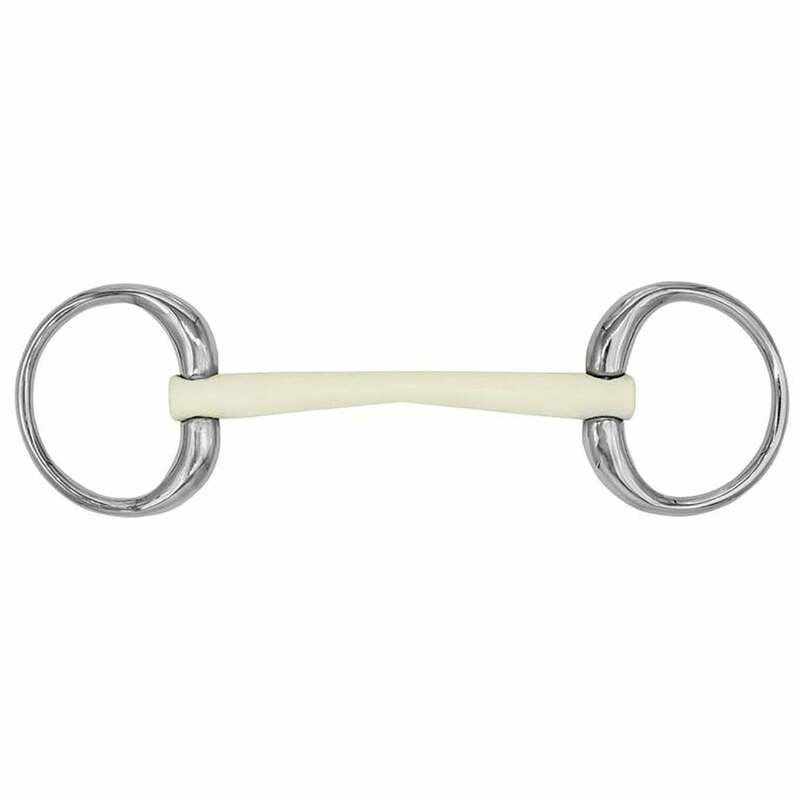 The Sprenger Duo Eggbutt Snaffle is very gentle on the horse's mouth, making it ideal for sensitive horses. The eggbutt snaffle rings can aid with steering and keep the bit more stable in the horses mouth than a loose ring bit. The Duo mouthpiece is made of soft, flexible plastic that is solvent-free, food-safe and does not contain any plasticisers. Reinforced with a steel cable to make it stable and provide security. The Duo Eggbutt can be used as a straight edged flexible bar or flipped to leave space for the tongue.